A river, city, and United States National Forest located in the area of Douglas County, Oregon. Probably the inspiration for the naming of the Nike Umpqua sport sandal. A United States athletic goods maker first known for apparel, who later branched into athletic shoes and hiking sandals. Their traditional gym kit used to contain plimsolls, but trainers are now their usual athletic shoe. If their stockist is busy, residents must wait in queue to purchase their kit. A question asked by a reader from the United Kingdom who had watched television shows that came from the United States: "Do they call trainers 'high-tops' in the United States?" My response was: "Only if they are high-tops!" That's because trainers in the United Kingdom are almost always low-tops, high-tops are almost unseen. Large nation with many sneaker fanatics. Conveniently fills the hole in the globe that would otherwise exist between Canada and Mexico. Once known as the "United Colonies" but they split away from the United Kingdom about 140 years before Marquis Converse invented the basketball boot. To summarize the point, there aren't many. Maybe President Donald Trump can change things. See "International Manufacturing" for more information. The externally visible top portion of a sneaker, and the inside lining, located above the sole. See the color-coded sneaker for an illustration. Modern athletic shoe design has a continuum of upper heights, including low-top, mid-top, ¾ high, &frac58; high, high-top (and beyond). It's known that athletes have fewer ankle problems with mid-top and high-top shoes. Research into why this is the case indicates that it's not the shoe keeping the foot out of harms' way (despite the requirement for wrestling shoes that they provide "firm support for the ankles"). Instead, the protective effect is from the sensation of the upper giving the wearer an indication that the foot is out of alignment. In the early 1990's, Nike came out with a number of designs that exploited this effect, among them the Air Huarache series and the Air Carnivore. However, many models nowadays trim back the back portion of the upper. A line of Nike basketball shoes designed for speedy players. Kobe Bryant is probably the best-known player to wear shoes from the Uptempo line (one of the recent Air Huarache styles). Also see Flight and Force for other Nike basketball shoe lines. In (originally) Harlem and (later) Queens, New York City, United States: Nike Air Force One sneakers. Describes the pocket in KangaROOS sneakers. Describes an athletic shoe for artificial turf, invented by Bill Bowerman, Nike co-founder. The patent pictures show the famous waffle outsole in detail. Describes cleats for artificial turf, invented by a group of three at BRS including Bill Bowerman, Nike co-founder. It describes a refinement of the waffle outsole. This patent, by Marion Frank Rudy, describes possible insole construction details used with numerous Nike AIR styles. An invention by Marion Frank Rudy. Known to runners everywhere as that ultra-comfy Nike AIR. A design for an external counter that wraps around the heel, designed by Bill Bowerman, Nike co-founder. Another improvement in athletic shoes by the prolific inventor Marion Frank Rudy. A refinement of Nike AIR which involved arranging the outsole projections under the AIR chambers. A New Balance design for heel counters. A New Balance design for a stabilizing plastic cup that partially surrounds the heel. The Dellinger Web shock-dispersing device. Invented by William ("Bill") Dellinger and Ronald Stirtz. It looks to me like the same basic idea as Nike AIR except using a fluid. A Nike design for a bi-level outsole, originally designed for cleats but also seen in basketball shoes. Describes an athletic shoe outsole with multiple sole densities. A molecular trick that makes Nike AIR finish its inflation after they seal it. The combination of the inert gas molecules and the chamber materials make atmospheric air diffuse into the chamber. Yet another Marion Frank Rudy creation. A Nike design that incorporates a sidewall bead to increase stability. An insole design that features tubes of material that are stiffer than the remainder of the insole. Also discusses the possibility of user-adjustable tubes. Describes the AVIA Cantilever athletic shoe outsole. A technology similar to Nike AIR except the chambers were shaped differently. The first sport sandal patent by Mark Thatcher, inventor of the Teva. Mark's first design covered the design of a heel strap that could be folded forward (resulting in a "flip-flop") or wrapped around the ankle (to keep the sport sandal from flying off). Another invention related to sport sandals, developed by Mark Thatcher. This patent covers the Teva "Universal" strapping system. Why Nike changed the design of Nike AIR athletic shoes so one could see the air chambers. It was not merely a decorative touch but it improves the function of the shoe. A patent titled "Bumper mounting assembly for a snowplow." For some reason I (Charlie) do not know, people search for the number and end up on this Website. The only place I can find it is in the log of search strings that brought people to this site. Go figure! A plastic-fabric composite sandwich structure inflated with Nike AIR inert gas. Appears to be the Zoom AIR design. According to inventor Marion Frank Rudy, this results in a more stable athletic shoe than the earlier designs. An enhancement of the Nike AIR design that mixes crystalline material into the AIR capsule. According to inventor Marion Frank Rudy, this provides more stable pressurization throughout the life of the product. The "Device For Treating Snoring Sickness," known to many satisfied (and frustrated) patients as CPAP. A Converse design for a high-top basketball shoe that featured plastic struts to prevent unwanted side-to-side motion. An enhancement of the Nike AIR design described in US Patent 4936029. According to inventor Marion Frank Rudy, this allows creating an AIR capsule that can be inflated with nitrogen. Marion Frank Rudy makes additional improvements to the basic design described in US Patent 4906502. Known to sneaker freaks everywhere as The Reebok PUMP. A proposed high-top internal support structure that looked akin to a plastic picket fence. A motion control device developed by Nike that embeds a plastic serrated structure in the midsole. A design for a user-tunable version of Nike Shox ("Son of Pump," anyone?) Also see US Patent 5353523. The technique Nike uses when inflating the AIR styles that include a ring of high-pressure inert gas surrounding a center of lower-pressure inert gas. 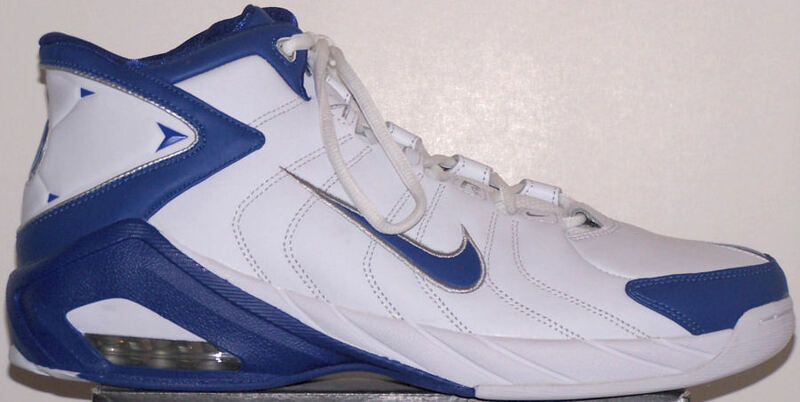 These include the Air Max 2 running shoe series as well as certain Charles Barkley styles. The design of the heel columns in Nike Shox shoes. The design of the cup-shaped elements that put the "Tuned" in Tuned AIR. 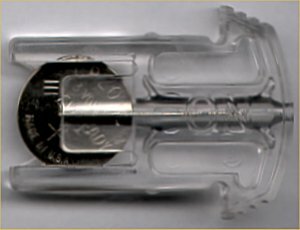 The design of the LA Gear light GEAR cartridge. A method of combining polyurethane and EVA copolymer that results in a multilayer Nike AIR capsule with superior gas retention capabilities. A Nike design incorporating plastic outriggers molded to the upper. This design appears similar to the so-called "monkey paw" on some Nike styles. Refinements to US Patent 5713141. Describes the methods of making a polyester polyol-urethane mixture used in the walls of certain Nike AIR capsules. Covers the design characteristics of the wheel assembly in the "Heelys" brand of shoe. A further improvement to the Nike Shox technology that shapes the columns to obtain enhanced lateral stability. The patent for medical marijuana, held by the United States Government. As indicated by the many sneaker patents they have issued... a United States government office that keeps very busy!